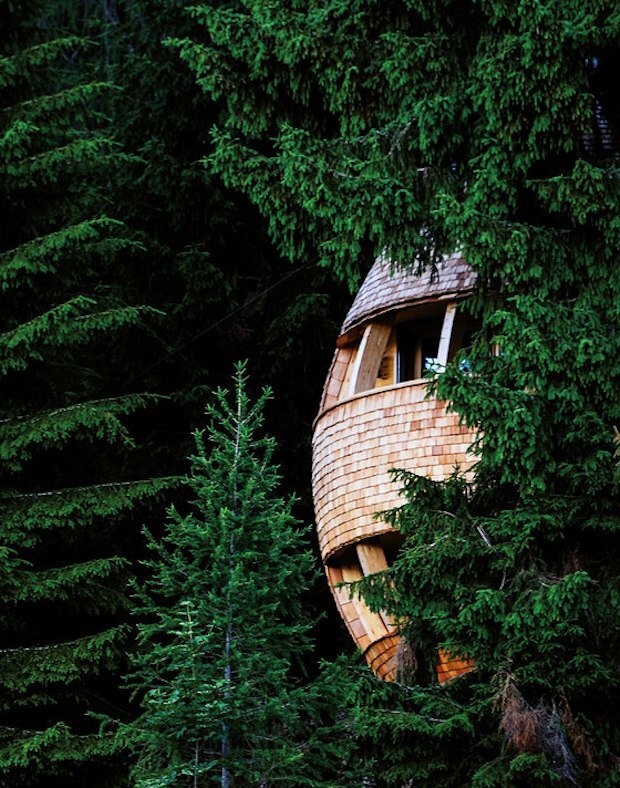 Ever thought about living in a pinecone? Now you would ask yourself, “What?” and yes that’s exactly how we felt. That was before we saw these uniquely designed treehouses! 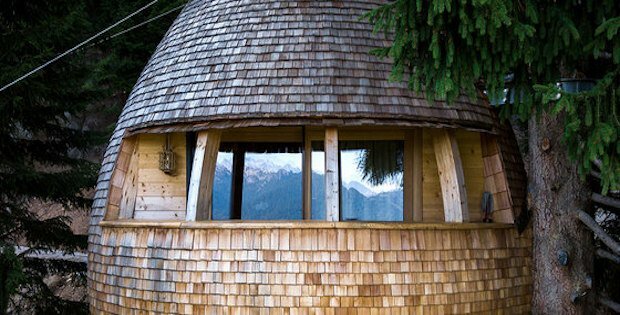 The treehouse project called Pigna is located in Malborghetto, Italy. 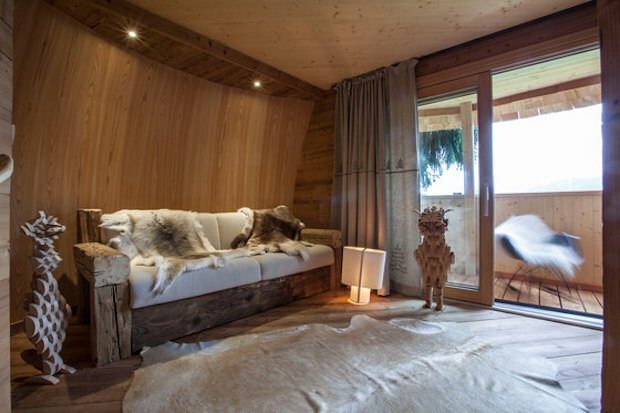 The project comprises two pinecone-shaped treehouses, the designs of which take inspiration from the local environment. These small homes will provide you with beautiful panoramic views of the surrounding landscape. 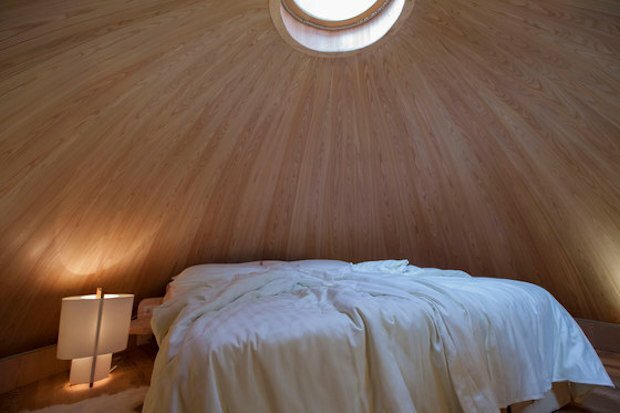 They may be small, but they may just be some of the coziest homes we’ve seen so far. 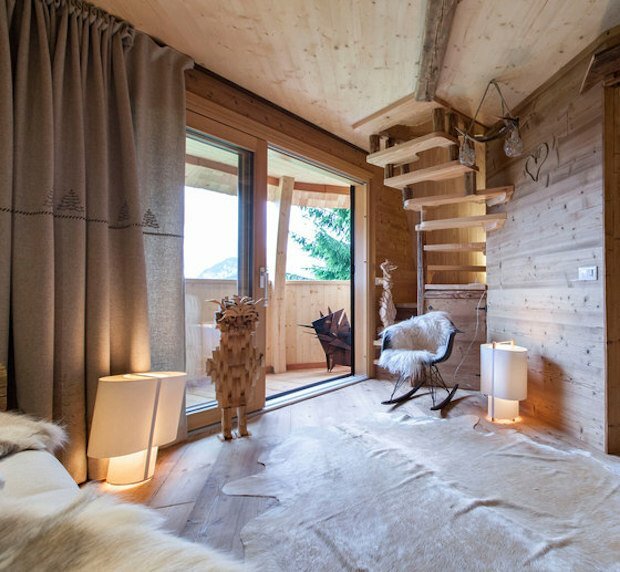 In the oldest and widest forest of Italy, where the spruce trees are used to construct violins and other musical instruments thanks to the rare quality of the wood, a new addition to a mountain retreat has just opened. The project started with the desire to create a structure that is not only a refuge for man but also a natural element of its environment, a mimesis of its surrounding. From the tree, for the tree.